​Megan is the full-time Director of GOT Ministries and the supervising occupational therapist of our therapy students who serve in Guatemala. She is passionate about her work in Guatemala and locally in Kansas City, where she lives when she is stateside. She completed her Master of Occupational Therapy in 2010 from the University of Kansas and provided vision rehabilitation services for 7 years in Kansas City. ​​Megan has been providing pediatric occupational therapy services at New Life School in Santa Maria de Jesus, Guatemala since 2011, and has recently joined their Board of Directors. Her passions are serving people with disabilities, going on long walks with her husband Andrew, and learning! Stephanie Harris joined the GOT Ministries team in May 2018 as the Administrative Coordinator. She is passionate about empowering people to live into the potential God has given them and recognize their worth as children of God. She loves seeing the empowerment offered through GOT Ministries to both occupational ministry students and the children and families of Guatemala. 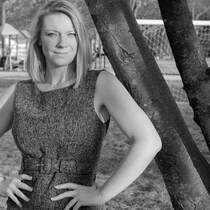 Stephanie spent 10 years in the banking industry and received her M.Div. and M.A. Spiritual Formation from Asbury Theological Seminary in May 2017. She also serves with Inspire Movement as Missioner and treasurer on the USA Core Team. When she isn’t serving, she enjoys running, waterskiing, hiking, traveling, and spending time with her family and friends. Since her graduation from Penn Valley Community College, Rhonda Hughes (McFerren) has chosen to put her Occupational Therapy skills to work in non-traditional environments. This has given her the opportunity to witness how assistive technology can help individuals with a variety of disabilities. Rhonda is the Program Coordinator for Money Follows the Person Demonstration Services at Missouri Assistive Technology (MoAT), a member of KOTA, AOTA and recently became a Certified CarFit Event Coordinator. She served on the KOTA committee from 2012 to 2015 helping to get donations for the raffle table raising scholarship funds for OT/OTA students. Mrs. McFerren has served on the GOT Ministries advisory board since 2015 and is one of the original collaborators to ensure the success of the development of GOT Ministries. Courtney Foy, Director of Development and Marketing for Kansas City Community Gardens, has been serving as an Advisory Board Member for GOT Ministries since 2015. Ms. Foy specializes in nonprofit fundraising and marketing, having raised over $1M for local organizations since entering the nonprofit sector in 2015. ​Ms. Foy is passionate about social justice and joined the GOT Ministries team to help ensure children with disabilities in Guatemala receive the love and resources they need to lead fulfilling lives. In her free time, Ms. Foy enjoys the outdoors, photography, and making memories with her family. ​Sarah Huber received her Master’s of Accountancy from Kansas State University. She is also a CPA, licensed in Kansas. ​She currently works for a worldwide re-insurance company as one of their tax accountants; focusing mainly on GAAP income tax provisions and federal and state income tax returns. In her spare time, Sarah enjoys staying active: exercising, hiking, playing volleyball, etc. She has been supporting GOT Ministries through serving on their advisory board since 2016. 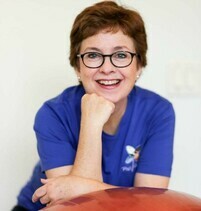 Jean Wetherilt is the founder of PossAbilities Pediatric Therapy as of 2004. She has specialized in various pediatric treatment strategies to serve children comprehensively. ​Dawn specializes in working with children having cerebral palsy, brachial plexus injuries, Down's Syndrome, developmental delays, spinal muscular atrophy, spina-bifida, upper extremity injuries and anomalies, sensory processing disorder and visual-motor integration dysfunction.